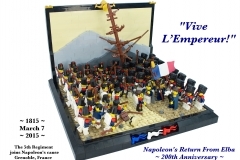 In the quest to recover Napoleon's France after being exiled to Elba, he was one of those unique moments when one small wrong move and the modern history would have been radically different. 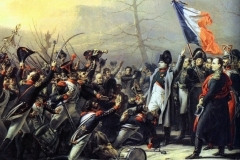 The 5th Regiment, supposedly loyal to King Louis XVIII, was sent to arrest Bonaparte. General Michel Ney who even promised to report to the King "Napoleon to Paris in an iron cage." 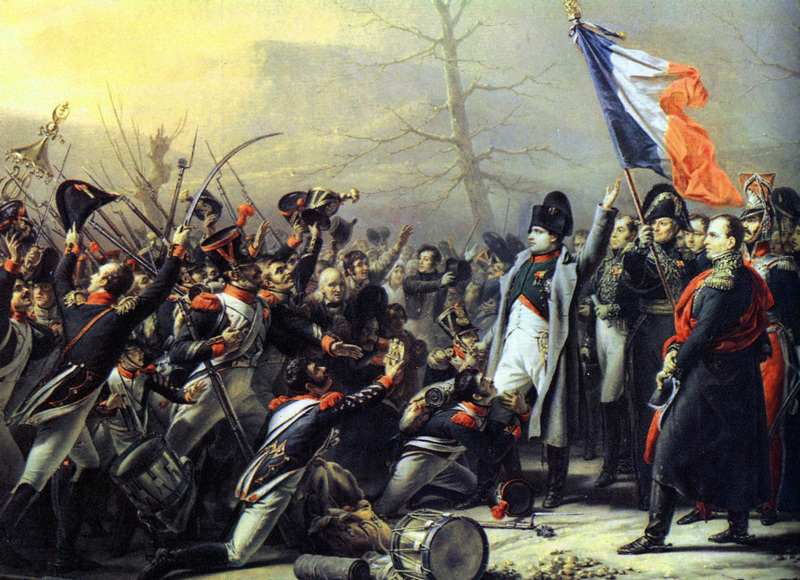 Thirteen days later, he went up to Paris, taking advantage of power even during a period known as the "Hundred Days". The end result was the Battle of Waterloo. Many adjustments were made to stick up painting. 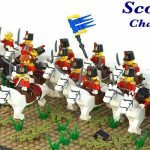 There are 66 minifigs crammed into a space of 32 × 32, with attention to detail to obtain these poses and realism uniforms ... The level of detail has been taken to extremes by the creators, which n ' has not been an easy task. 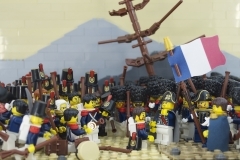 This scene is made 100% by LEGO except the flag from the business CapeMadness (Bricklink). 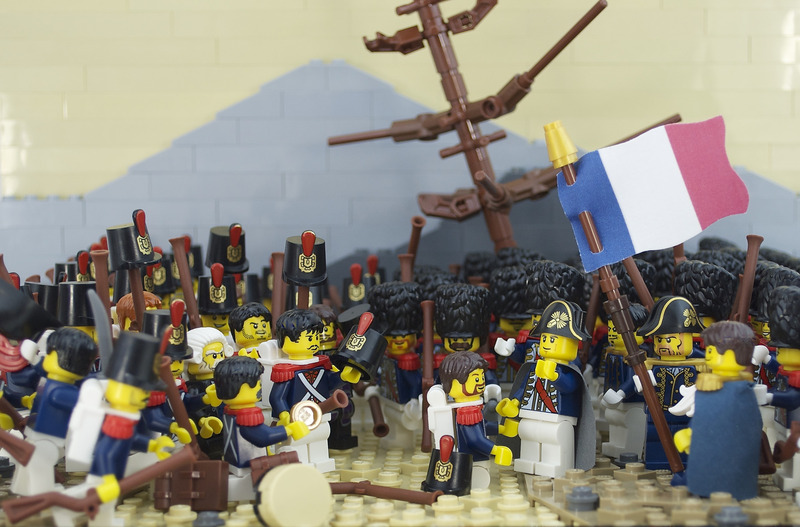 This scene is part of a larger LEGO slideshow to celebrate the 200th anniversary of the Battle of Waterloo in 2015 Brickfair Virginia. 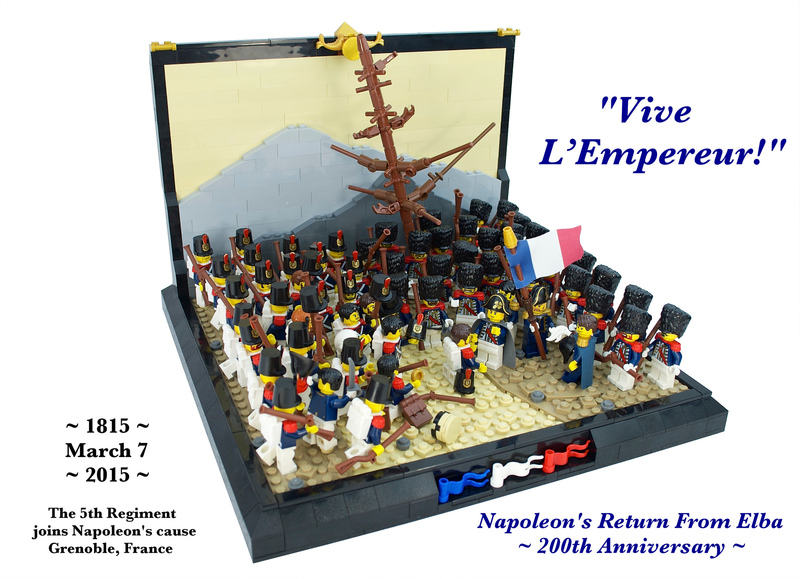 There has been a great collaboration to reproduce this battle of LEGO history, with over 1,000 minifigs.